Virgin Money, which is partly-owned by billionaire investor Richard Branson and is planning an initial public offering (IPO) for next year in the London Stock Exchange, announced that Glen Moreno will take over as Chairman from Sir David Clementi in the middle of 2015. In January 2015, Mr. Moreno will become an Independent Non-Executive Director and Chairman Designate. In a press release today, Virgin Money said Mr. Moreno’s appointment is still subject to regulatory approval. Mr. Moreno, who was born in California, is currently chairman of the London-based, multinational publishing and education company Pearson plc. He is also a non-executive director of Fidelity International Ltd.
Acting Chairman: UK Financial Investments Ltd (set up by HM Treasury to manage the govt’s shareholdings of British banks). Sir David, who said that Mr. Moreno’s appointment to Virgin Money’s Board is a long-term succession plan, became Chairman in October 2011, and committed to service three years. “During that time the company has successfully gone through the biggest transition in its history following the acquisition of Northern Rock. I am proud of what the company has achieved and look forward to working with Glen in the coming months before I hand over the Chairmanship to him. I have agreed to remain in office for a further nine months before handing over to Glen,” Sir David added. Glen Moreno starts his tenure in 2015. 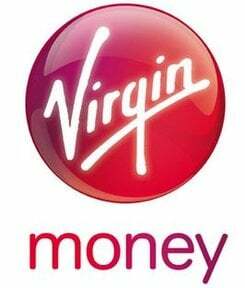 Virgin Money is a challenger bank, a high-street start-up fighting against the UK’s big four banks. Statutory cost:income ratio 70.9%, a 12.5 percentage-point improvement from 83.4% in H1 2013. The company says it is on target to launch its own credit card business in H2 2014. The aim is to expand the credit card book to £3 billion by 2019. Gross mortgages grew by 3.7% to more than £20 billion, compared to £19.6 billion on December 2013. Ms. Gadhia pointed out that the company is not burdened with the historical conduct and legacy problems that are so common among most other British banks. The company has a powerful brand, a strong core business franchise, as well as a solid balance sheet. “For all these reasons, we remain confident that we can continue to make real progress on our quest to make banking better and can continue to grow our business strongly, profitably and responsibly,” she added.